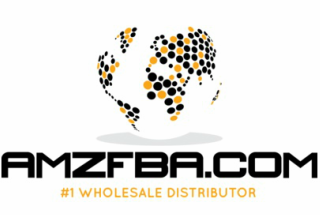 ​Whether you are an experienced e-Bay seller or have been selling on Amazon for a short period of time. Maybe this is brand new venture for you to sell on Amazon. One thing is clear - It is far from a walk in the park. Amazon is the most sophisticated platform for 3rd party sellers to use. It can be a challenge to figure out when you're just getting started. All Season Trading understands these challenges and is now offering a FREE service as an added value to its customer base that are new to this process. There is $0.00 cost to you to use this service. It is an added value for our customer base to ​utilize and help them grow! You have to be a new seller on Amazon to take advantage of this benefit. Must be selling on Amazon for less than 90 days at most. Brand New sellers are ideal for this program. Learn from the source! This is your opportunity to ask as many questions as you need directly from Amazon. Avoid spending time and money with trial & error! - You will be a part of a team that's dedicated to you account. Known as "Managed Accounts" This account representative will help you set up your Amazon seller account. - It can take anywhere from 90 to 120 days for you to be buy box eligible - By working being a part of the Managed Accounts team at Amazon - You will potentially be fast forwarded to be Buy Box eligible right away! - Get direct assistance from your account manager at Amazon to get approved in restricted lucrative categories such as: Health & Beauty, Shoes, Clothing, Groceries, Beauty & more! - Selling on Amazon can be tough - and we all know that Amazon can dismiss your account for small mistakes. Get direct assistance from your account manager in regards to any potential harm that may come with being a new seller. This can help you save time & money! Interested in this free service? Simply go to our New Customer Application & fill out the dealer application. In the section where we ask you to tell us how we can help you - Simply let us know to forward your information over to Amazon for your consultation.